Welcome. This website documents my exploration of experiential learning in higher education. There are three active blogs here, one for research information, another for my teaching activities, and finally, a new personal blog where I will share photos from my international travels to teach. ​I have added a fourth personal blog to replace what I might otherwise have posted on Facebook. As of late November, 2018, I have achieved my Ph.D. Candidacy (AKA All But Dissertation - ABD) status. My dissertation research has been approved by my committee, and by the University at Buffalo Institutional Review Board (IRB). I am starting my research into experiential learning in higher education. Visit my experiential learning research blog frequently for updates on research - Click here. 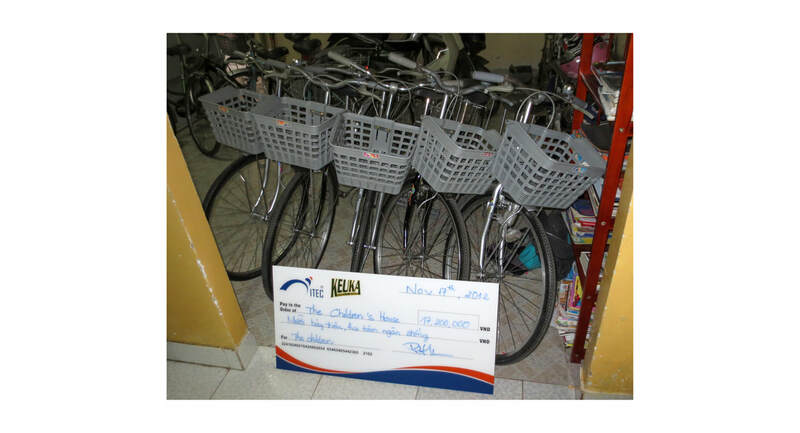 Keuka College students in Ho Chi Minh City (Saigon), Vietnam, used money from their course-long leadership project to purchase clothing, food, and bikes, for boys in a local orphanage. This website investigates experiential learning methodology in higher education. In the Vietnam National University system and in the University at Buffalo program in Singapore. Experiential learning (also called student-centered learning) contrasts with passive learning (sometimes called teacher-centered learning). Lectures, when used without student activities or engagement other than listening, generally are considered passive learning methods. Start your tour of the website on the Experiential Learning in Vietnam page and watch the presentation that I delivered to faculty and university administrators in Saigon. Watch a video that summarizes this process by clicking here. See an example of Project-Based Learning by clicking here. 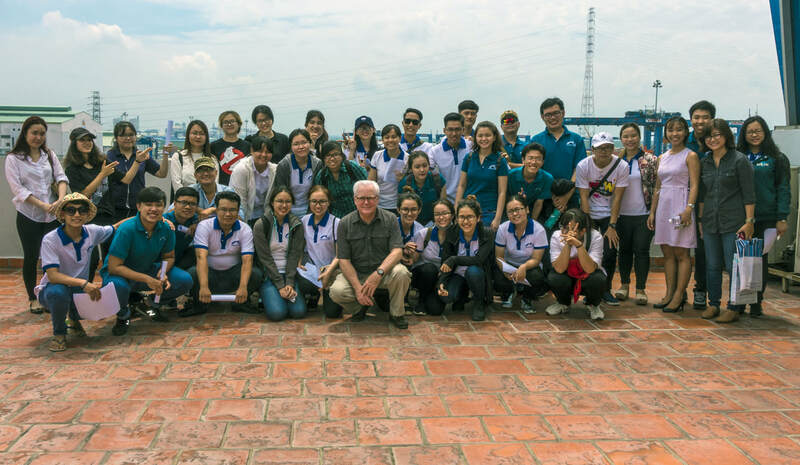 Keuka College students in many of my courses in Ho Chi Minh City, Vietnam, work on a five-week business project to apply what they are learning in their Operation Production Management course. This is one of several experiential learning methods used in my courses. ​​Your will find examples of the teaching that I have done since early 2012 in Vietnam, and since 2014 in Singapore. During this time, I have taught Business Leadership, International Business, Strategic Management, and Operations Production Management. These courses are for Keuka College, in China and Vietnam, and for the State University of New York, University at Buffalo, in Singapore. I also teach Strategic Management and Entrepreneurship & Small Business for the State University of New York University at Buffalo School of Management Bachelor of Science in Business Management program in Singapore, and on the Buffalo campus. In this website, I share examples of project-based experiential learning, with examples in my activities blog from the University at Buffalo program. On the following pages, you will see examples of the projects my students have completed as they applied what they were learning in their lectures and from their textbooks to real-life businesses. Each Keuka College class formed a small business that operated for five weeks. These are three-credit courses taught over a seven week period with the same classroom hours as a regular 15-week semester. Therefore, these are intense course, and the students have a heave workload of lectures and studying, in addition to their projects. University at Buffalo School of Management students may run projects for six weeks in the summer session course, or for twelve weeks at the Singapore campus. A note about photos: All photos in this website are my own or are used by permission of the photographer. Students have given permission for use of photos of themselves. Photos of children in orphanages and hospitals are posted by permission of administrators and parents or guardians.